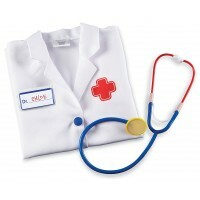 Doctor on Call Hape Playscapes wooden kit brings 7 pieces that turn your play room into a medical office. 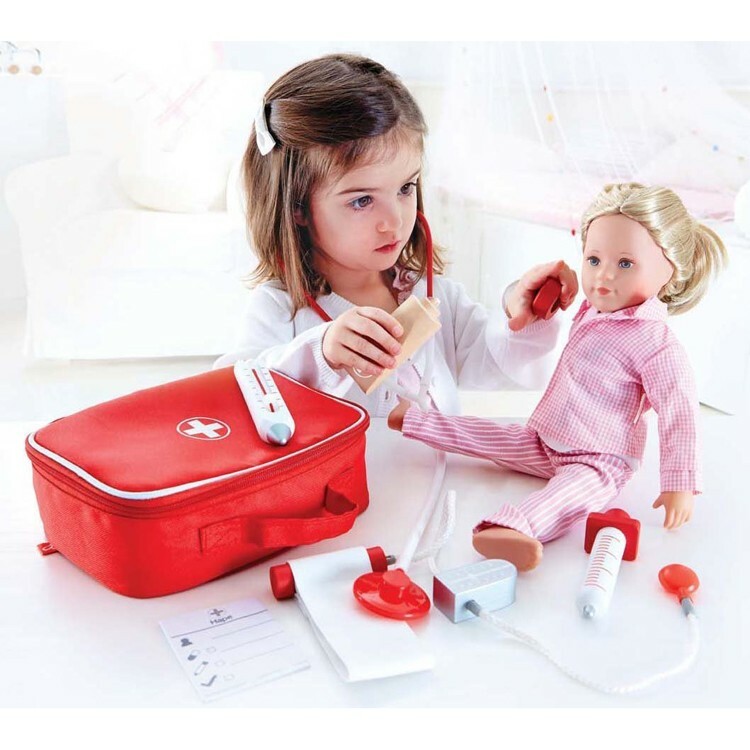 Pretend play doctor with your stuffed toys or siblings. 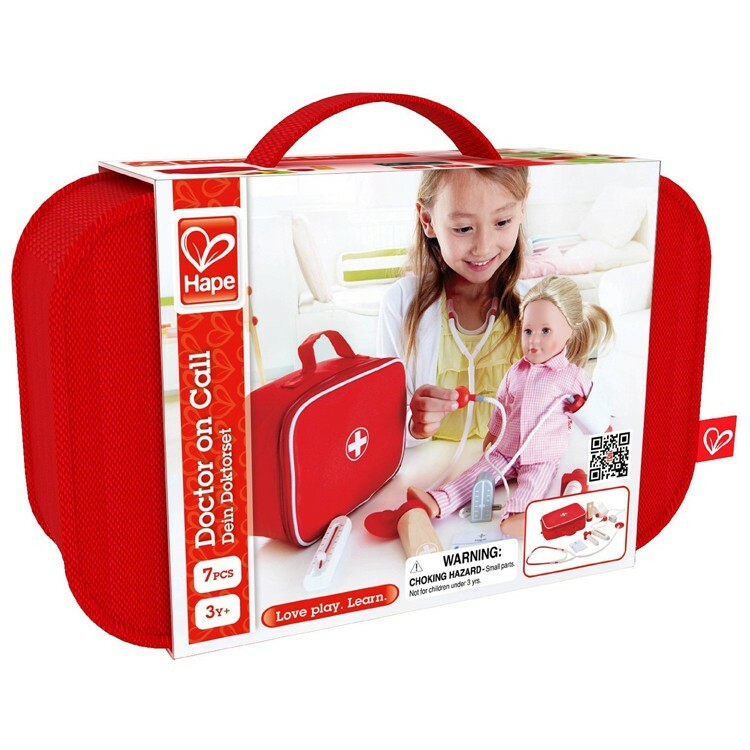 Doctor on Call Play Doctor Wooden Kit in a Bag from Hape's bestselling Playscapes toy series comes with 7 pieces that turn your play room into a medical office. 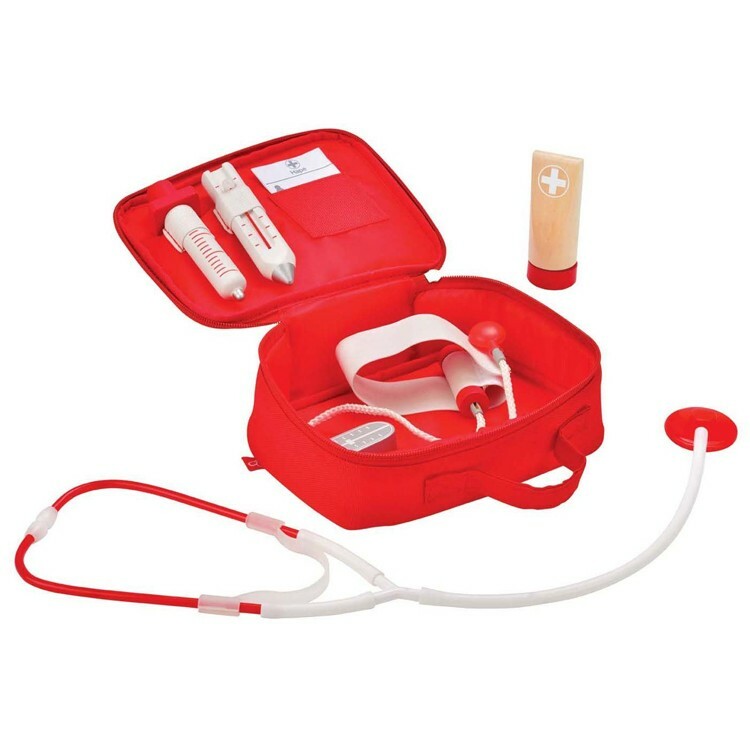 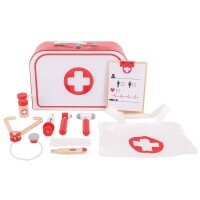 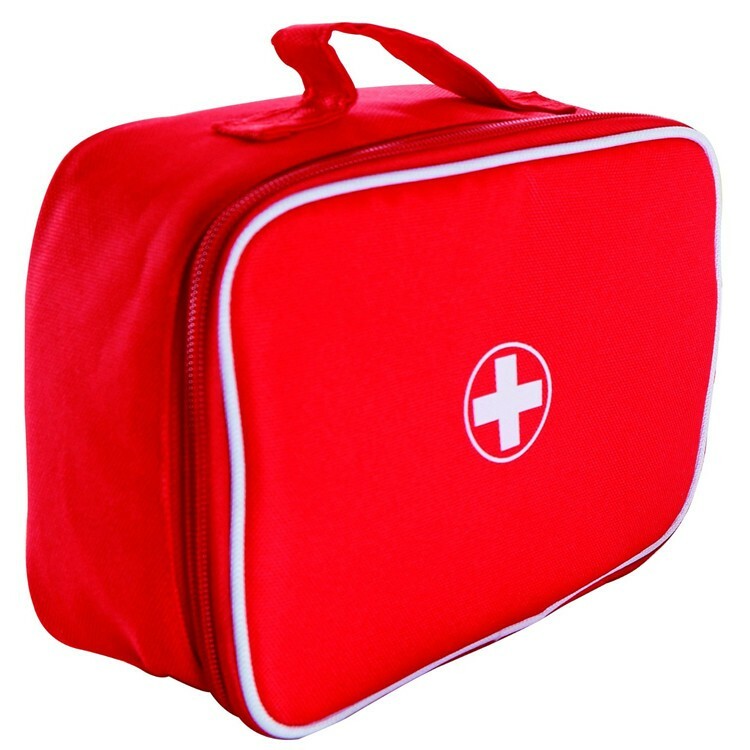 This kids doctor kit comes in neat bright red fabric doctor's bag with zipper closure. 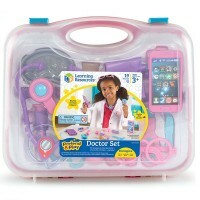 The doctor set is made of wood, quality plastic, and other kids-safe materials and finished with the water based paints. 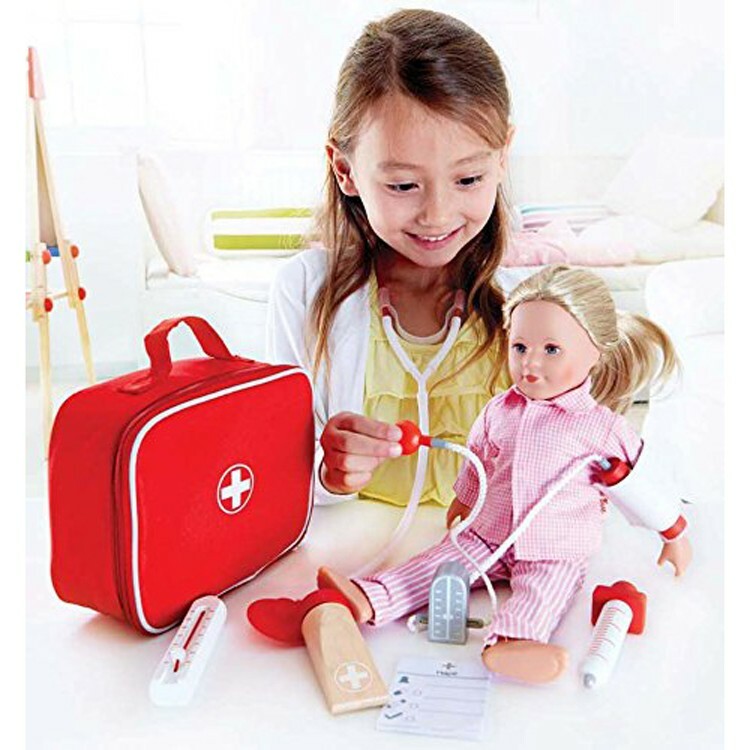 Measure your doll's temperature, check your mom's blood pressure, or write a prescription for your sick teddy bear - play possibilities are endless with this simple and cool Doctor on Call Play Doctor Wooden Kit in a Bag. 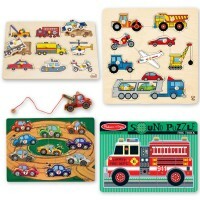 Chunky play pieces can be easily stored in a carrying bag and taken along to grandma's house or vacation place. 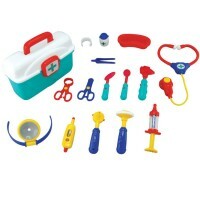 Dimensions of package 3.2" x 8.3" x 6.3"
Write your own review of Doctor on Call Play Doctor Wooden Kit in a Bag. Rating: 4 seems fine by Hape Toys Stethoscope actually works (kind of). 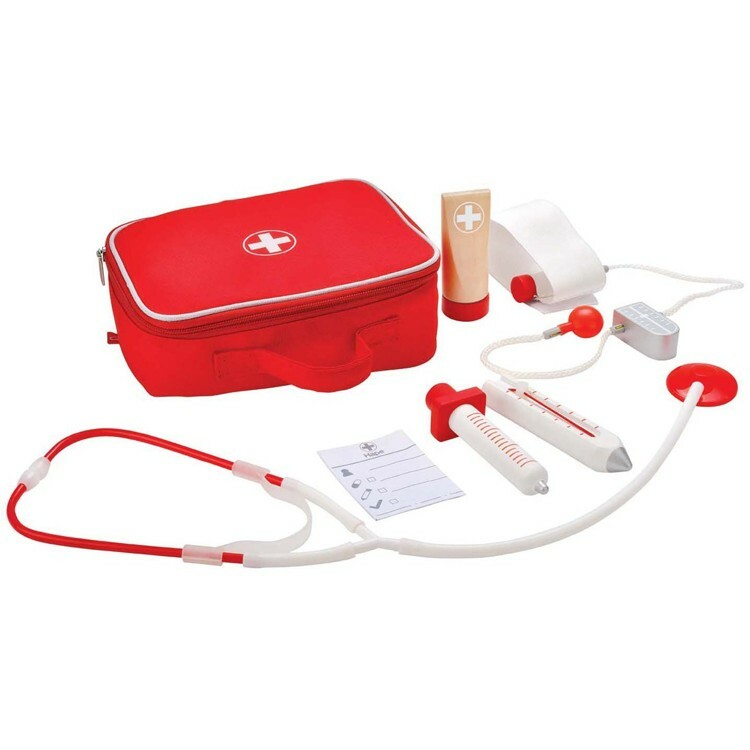 Wasn't expecting that. 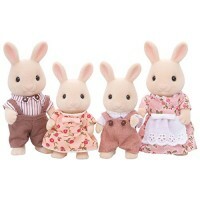 My daughter really likes it. 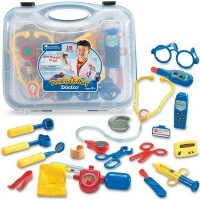 Rating: 5 Quality play set by Ukcanuck Very good quality and fun for daughter to play with. 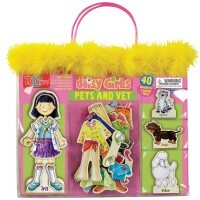 Worth every penny and much better than plastic fantastic stuff.